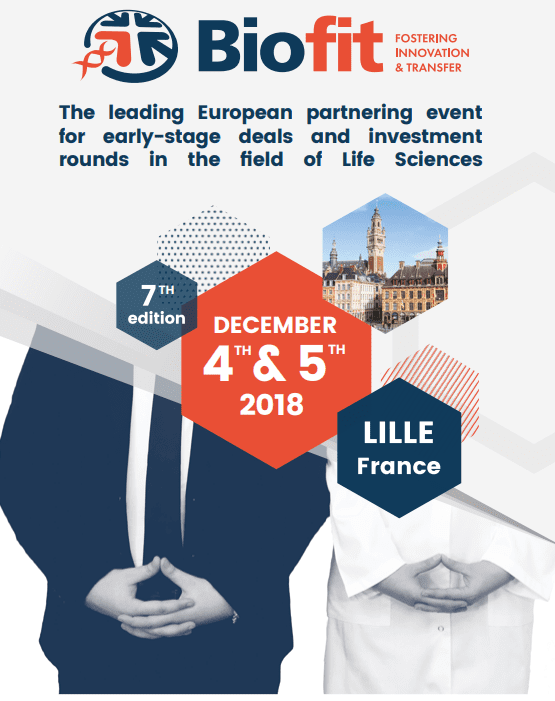 On December, 4th and 5th, 2018, will be held in Lille, the 7th BioFIT congress organized by EURASANTE, THE NHL CLUSTER and ALSACE BIOVALLEY, European Partnership for Innovations and Seeds at an early stage of investment in the field of Life Sciences. pre-seed, seed and Series A investment in the field of Life Sciences. 35 countries will be represented with more than 800 organizations, 100 exhibitors and over 35 one-to-one meetings per participant. Nextep will also be present at this event, represented by Mr Vincent Cheney (Partner) and Mr Eric Rambeaux (Senior Manager Corporate Development).